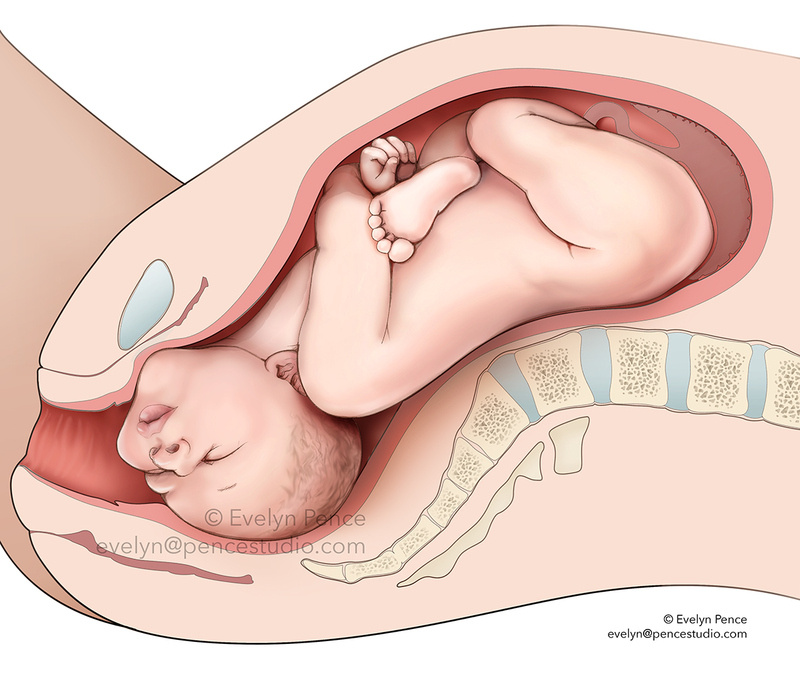 Two views of a fetus in the relatively rare face (birth) presentation. Shown here is the left mento-anterior position. Rendered for a medical legal exhibit. Graphite and Photoshop. Side view of fetus in the relatively rare face presentation. 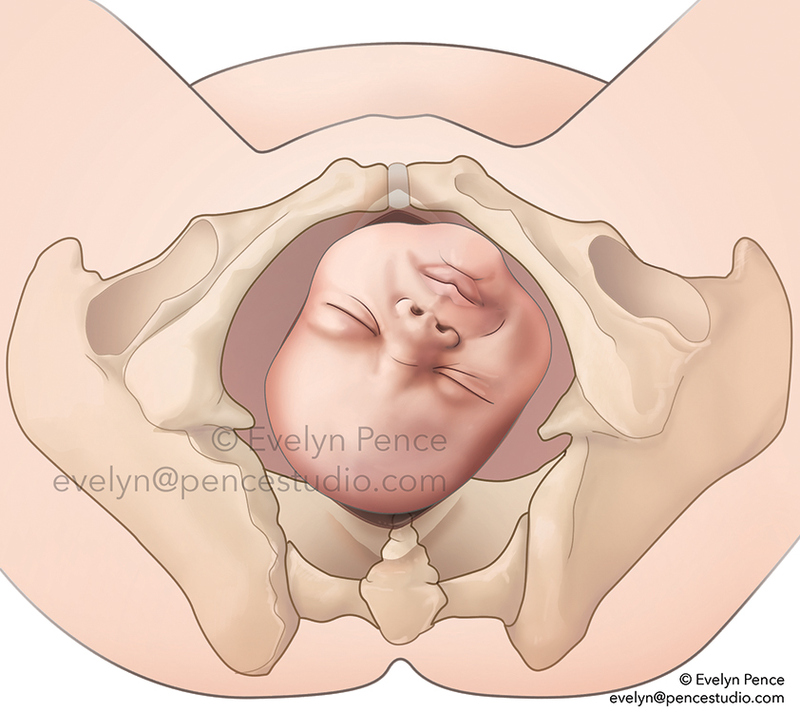 Shown here is the left mento-anterior position.